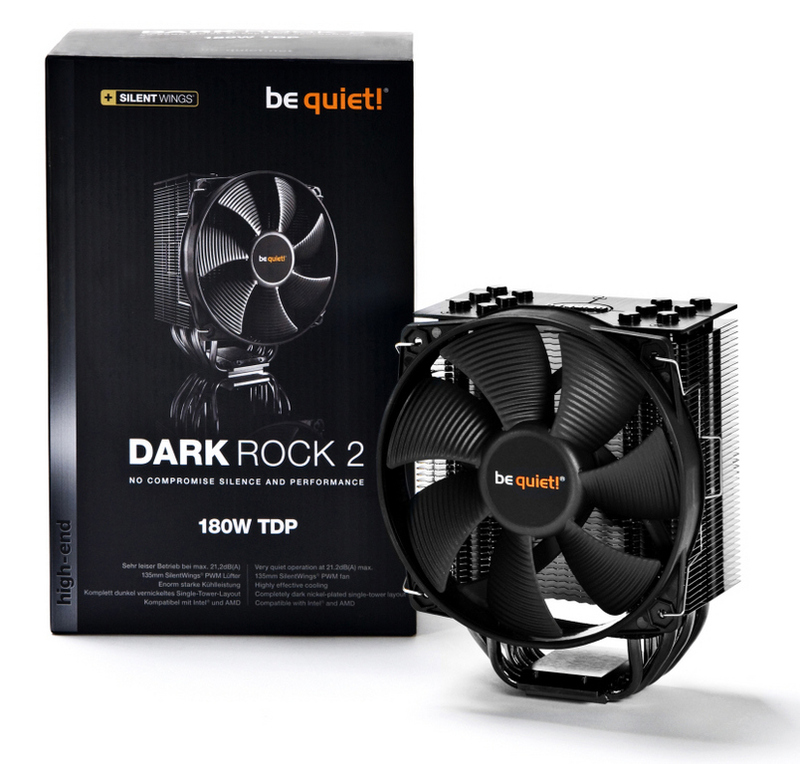 Be quiet!, market leader for PC power supplies in Germany for six straight years, announced today their brand new CPU cooler series Dark Rock 2. Consisting of two new products, this new generation now offers better cooling performance thanks to the use of new 135 mm SilentWings fans. 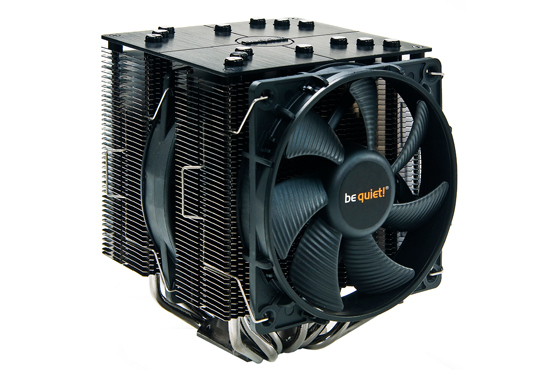 After be quiet!’s entry into the cooling market in 2010 which, based on the quick acceptance into the market and positive reviews, was a success for consumers and the press, be quiet! now introduces the newest offerings within the Dark Rock family: Dark Rock 2 and Dark Rock Pro 2. As with the first generation there is one single tower and one dual tower model. Both of them now feature a brand new 135 millimeter SilentWings fan. Thanks to this Dark Rock 2 offers more cooling performance while still maintaining a very low noise level. 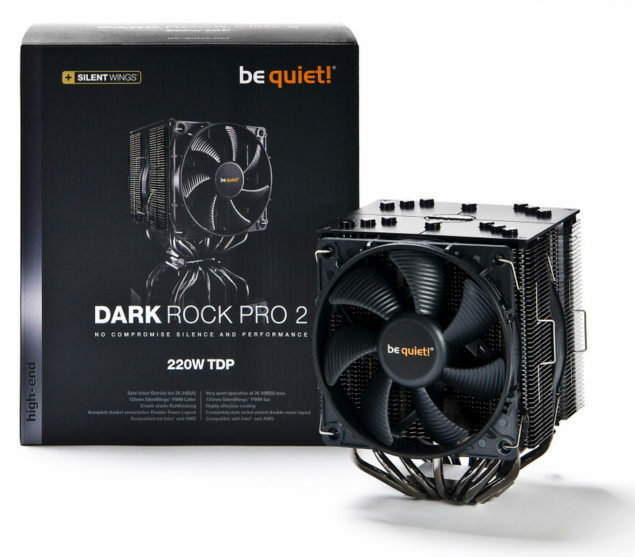 Dark Rock Pro 2 is the new flagship in be quiet!’s cooling line. Thanks to its dual tower design it is able to handle CPU power of up to 220 Watt. It uses two fans to take care of air circulation. One 135 mm version sitting in between its two big heatsinks and a second 120 mm fan in front of the heatsink. Seven 6 mm heatpipes make sure there is no limitation regarding the field of use for this cooler. Demanding tasks such as gaming and overclocking are possible at a minimum noise level with this product. For a two fan cooler, the Dark Rock Pro 2 is really silent with a maximum noise level of only 26,4 dB(a). Dark Rock 2 is the single tower version and it still offers six 6 mm heatpipes to take care of up to 180 Watt of TDP (Thermal Design Power). The position of the single 135 mm fan is adjustable for maximum compatibility with mainboards and RAM modules and it is barely audible at 21,2 dB(A). “We were really pleased with the quick market acceptance of the original Dark Rock series, as evidenced that we have already been voted twice as the number two brand of CPU coolers by the readers of PC Games Hardware. With the launch of the Dark Rock 2 generation into the market we improved all essential aspects of performance. We’re really proud of this achievement that pushes the state-of-the-art in quiet, high performance and relaible air cooling to new levels,” says Scott Richards, Global Brand Director at be quiet! about the new product launch. Again both models come with the striking dark nickel-plated surface and the brushed alumnium cover on top of the heatpipes. Thanks to consumer feedback be quiet! also decided to improve the mounting system. So the installation of Dark Rock 2 is both easier and faster and it is also compatible with Intel Socket LGA2011. Dark Rock 2 is available for 55 Euro. The Pro Version costs 73 Euro. Both are available today.